Graduate Temporary Visa: Students may be eligible to apply for a Graduate Temporary Subclass 485 visa. This visa can last between 18 months and 4 years depending on the type of qualification completed, has full work rights can enable students to accumulate further points for working in Australia. 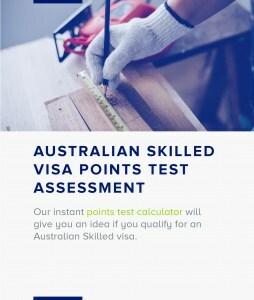 Recognised Qualifications: Australian qualifications are more likely to be recognised for the purposes of skills assessment which is a requirement for applying for Skilled Migration. Type of Qualification: You must complete a degree, diploma or trade qualification. Masters, graduate diplomas and PhDs are considered degrees and so may be counted towards the 2 year study requirement. CRICOS registration: The courses completed must be on the approved list of courses for international students (CRICOS). There can be issues if your course or educational institution is deregistered prior to completion of your studies. Two Academic Years: this is defined as being at least 92 weeks according to the CRICOS registration of the courses. 16 Month Duration: the course must take at least 16 months of study in Australia from the beginning of the course till completion. English Medium: All instruction must be in English. There can be issues with this requirement in the case of translation/interpreting qualifications. Compliance with Visa Conditions: Study must be in compliance with visa conditions to count towards the 2-year study requirement. 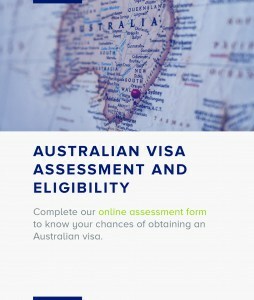 This will not in general be an issue if you are studying in Australia on a student visa, but could be an issue if you are studying on a visa with restricted study rights. The completion date is the date you are notified of your final results, not your graduation date (which may be many months after you complete studies). In most cases, your student visa will expire within a few weeks or months of completion of your studies. You will need to apply for a further visa before your student visa expires and this in practice is a tighter deadline. You can claim points for Australian study even if it has been more than 6 months from the date you completed your studies. SeekVisa Immigration has had a significant amount of expertise in assisting international students with difficult issues in applying for their permanent residence after completion of studies. We can assist in choosing the best application pathway for you, ensuring that you meet the 2 year study requirement and that your application is lodged on time even if there is a tight deadline.